“As part of our contingency plans, we have deployed corporate personnel as well as temporary replacement workers to our stores across New England, and we are working hard to minimize disruptions for our customers,” Brogan said. Bob Levangie, a union steward in Hingham said Sunday that community support for their strike has been “unreal” and that other unions have stopped by in solidarity. The parking lot of a Shaw’s supermarket on Middle Street in Weymouth was packed at about 2 p.m. while the parking lot of the neighboring Stop & Shop was nearly empty. Workers picketing there also said that they have felt a lot of support from people in the area and were eating pizza dropped off from a nearby store. “I’m used to what they have,” Nolan said. 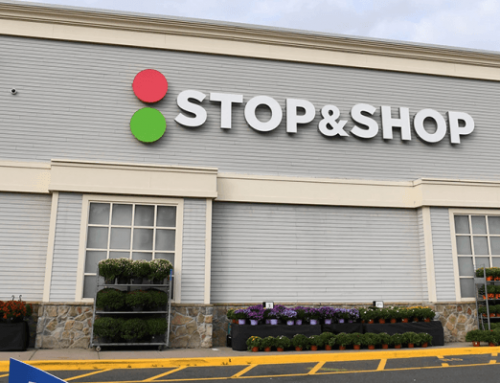 Stop & Shop President Mark McGowan released a statement over the weekend saying that the company was committed to negotiating a fair new contract, and defended Stop & Shop’s last offer. 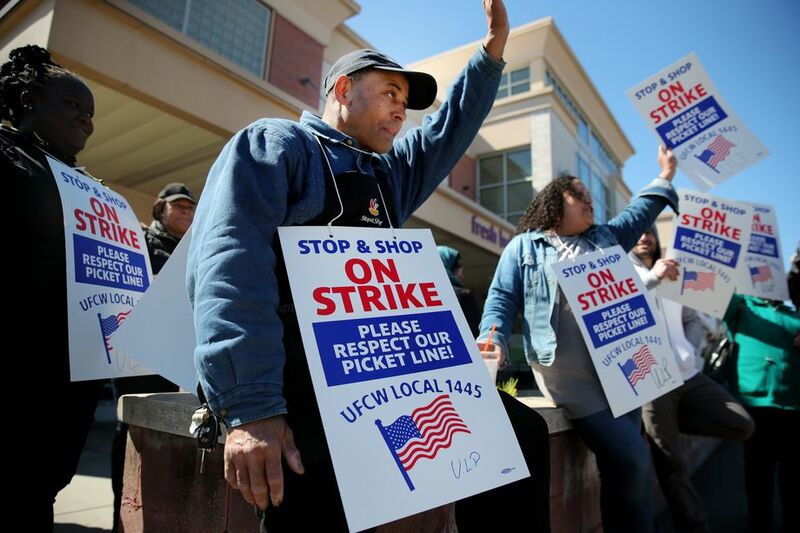 UFCW Local 328 represents workers on the South Shore, the Cape and Islands and Rhode Island and authorized a strike last month along with three of the other local unions. 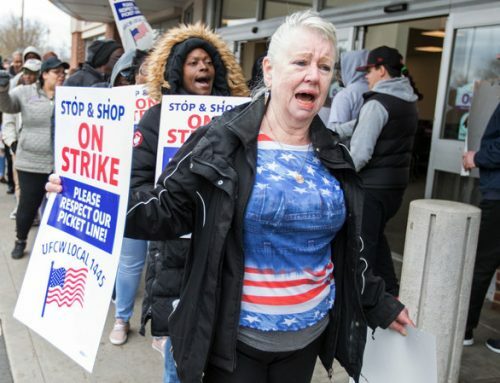 Local 328 President Tim Melia said in a statement Thursday that after 35 bargaining sessions, Stop & Shop’s offer was not acceptable. “What the company has offered as a final proposal does not adequately fund our health and welfare or pension funds, nor does it provide all employees with an opportunity to grow together with the company,” Melia said. 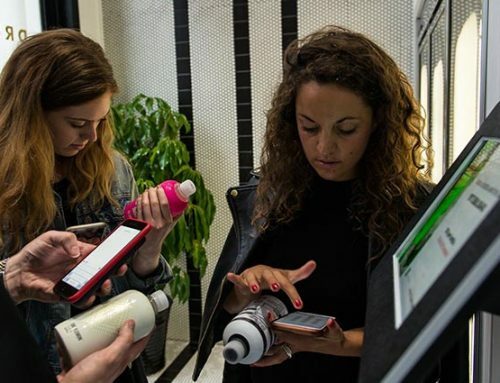 The chain is owned by Ahold Delhaize, a Dutch company that reported an estimated $71 billion in net sales both in 2017 and 2018. 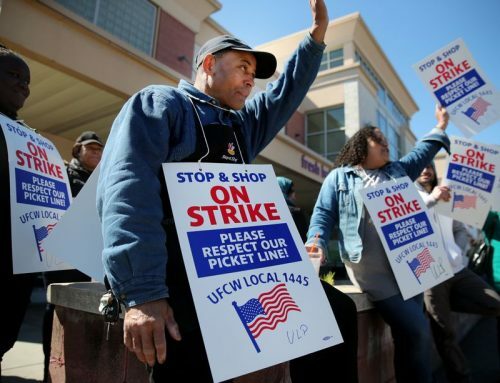 Union officials said that the company’s profits totaled $2 billion last year.